UPDATE: Regular readers will know that we recently announced the Thermaltake UK Modding Trophy 2018. Originally, we specified that those looking to take part needed to have at least one completed mod to their name, but we've had a significant number of people message us asking to take part as newcomers to the modding scene. After consulting with Thermaltake, we've agreed to open it up to all UK residents - even those who have never completed a mod before! After all, we love seeing new talent rise through the ranks and take part in competitions like this - it's how our very own in-house modder Alex Banks shot to fame. So, what are you waiting for? If you think you can have what it takes to put together a sweet mod, have a read through the terms and conditions below to check you're available on the dates we need you and can meet the content requirements, and send your design proposals to thermaltake2018@bit-tech.net. If you're a new modder, you'll have a better chance of being accepted if your plan is fairly detailed and has clearly been thought through. 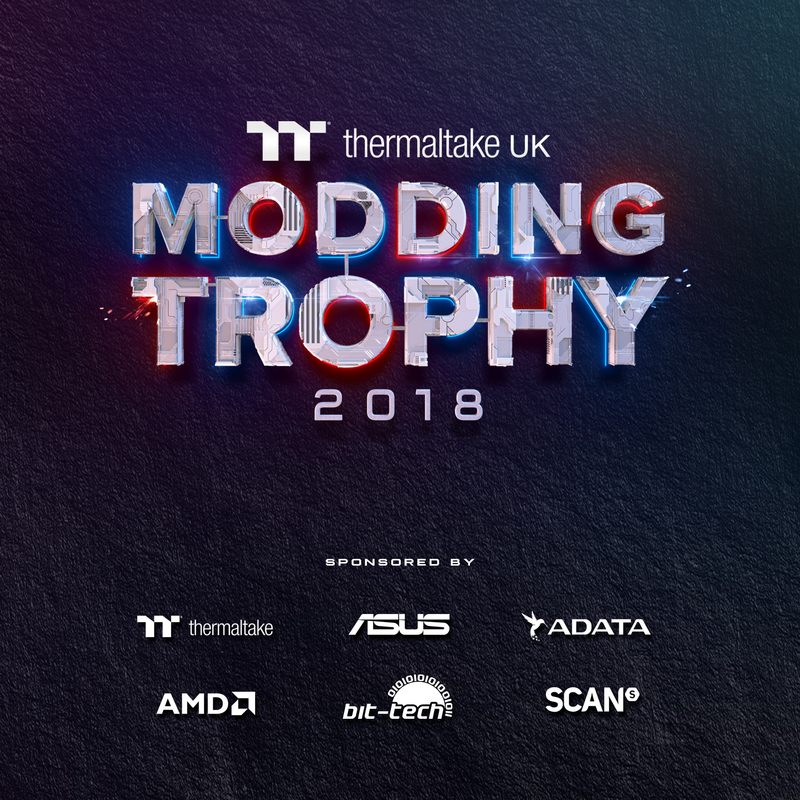 ORIGINAL POST: Today, we’re very happy to bring you news of a competition designed to showcase the UK’s finest modding talent: the Thermaltake UK Modding Trophy 2018! For those that don’t know, 2018 is a particularly special year for Thermaltake, as it marks the company’s 20th anniversary. And what better way to celebrate a milestone birthday than to have five talented individuals cut, drill, and paint a selection of the latest hardware in a friendly battle of modding? That’s exactly what Thermaltake, bit-tech, and a host of sponsors have planned, so regardless of whether you’re willing to put yourself forward or just want to see all the eye-candy, you’re surely in for a treat! 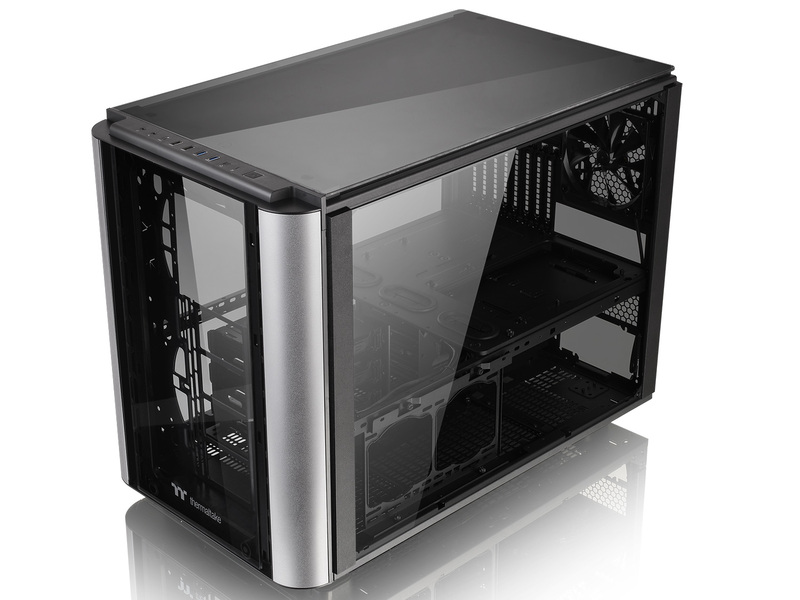 You may remember from our Computex 2018 coverage that Thermaltake has also released a series of Level 20 cases to mark the occasion, one of which is the E-ATX compatible Level 20 XT, and it’s this glass-adorned chassis that the five modders will be working with. As well as this, modders will receive a juicy selection of hardware to play with and have access to Thermaltake’s vast library of water-cooling hardware too. Better yet, every modder gets to keep their rig and hardware afterwards, but the very best modder – as determined by a combination of public polls and professional judges – will also walk away with bragging rights and a sweet trophy... Oh, and also an all-inclusive trip to Taiwan for Computex 2019! If you want to be considered for entry or just want to find out how and where to follow along, you’ll need to send us a design proposal outlining your intended plans, but be sure to read ALL the information below as there are content production and availability requirements associated with entering. You need to have at least one completed mod under your belt, but otherwise The competition is open to all UK residents. If you need a little inspiration, be sure to check out the video above with our resident modder Alex Banks, who’ll be hosting the competition, for a little extra info on his modding career and how PC modding has changed his life. September 28th – Hardware presentation, modding begins! December 7th – Modding ends, voting begins! All entrants must be able to prove that they have completed at least one full mod by referencing a project log hosted here or on another website. Entries (design proposals) must be submitted by 28th August 2018. No entries received after this date will be considered. All modders must commit to making a short introduction video of themselves to be submitted no later than 8th September 2018. All modders must be available and able to attend events on the 28th September 2018 (the opening ceremony) and 15th December 2018 (the closing ceremony) at Scan’s HQ in Bolton. Travel costs will be covered, but if you cannot commit to attending on these dates, please do not enter. All modders must commit to producing and regularly updating a project log on the bit-tech forums. At least five updates including pictures and text must be submitted by the following deadlines: October 12th 2018, October 26th 2018, November 9th 2018, November 23rd 2018, December 7th 2018. If you are notified that you have been selected as an official modder, acceptance of this will be deemed as acceptance of the terms and conditions as outlined below. Assuming you can meet all the conditions of entry and wish to be in with a chance of becoming an official modder, you’ll need to submit a design proposal via email to thermaltake2018@bit-tech.net. Please include a visual aid of some description (anything sketch on a napkin to a CAD render is fine! ), and remember also to prove ownership of at least one completed mod with reference to a project log on our forums or elsewhere. The theme of the modding competition is the Thermaltake's 20th Anniversary - this is of course open to creative interpretation! Please include a daytime contact number if possible as well, as we’d prefer to use this to notify modders that they have been selected. Five official modders will be selected by Thermaltake and bit-tech staff from all valid entries (design proposals) received before the closing date of August 28th 2018. The five official modders will be announced on bit-tech on August 31st 2018. Each modder must apply for extra Thermaltake hardware by emailing a proposal indicating the intended use to thermaltake2018@bit-tech.net no later than September 8th 2018. Each modder must produce a short introductory video and submit it no later than September 8th 2018. Each modder must be able to attend the opening ceremony on September 28th 2018 at Scan HQ in Bolton. Each modder will receive one full set of hardware as outlined above, plus any approved additional Thermaltake hardware, at the opening ceremony. Modders can either collect the hardware from the opening ceremony, or Thermaltake will arrange to have it delivered via Scan to a UK address. Modders will have until December 7th 2018 to complete their builds to the best of their ability. Each modder must produce and regularly update a project log on the bit-tech forums. At least five updates including pictures and text must be submitted by the following deadlines: October 12th 2018, October 26th 2018, November 9th 2018, November 23rd 2018, December 7th 2018. Modders must use all of the core hardware as outlined above in their builds. Modders must not not use any additional hardware that has not been explicitly approved by Thermaltake. The public and private voting period will open on December 7th 2018 and close on December 14th 2018. Winners will be selected by a panel of professional judges based on but not dependent on the results from the public voting. The judges’ decision in this matter is final. All completed builds will be collected no later than December 12th 2018 for delivery to Scan HQ in Bolton. Each modder must be able to attend the closing ceremony on December 15th at Scan HQ in Bolton. All modders deemed to have followed the terms and conditions adequately will be eligible to keep the hardware allocated to them. 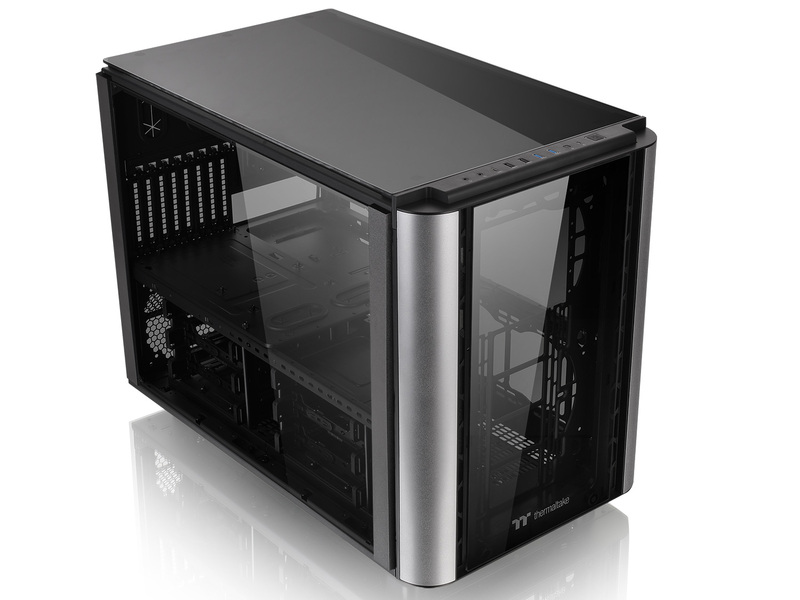 Thermaltake can arrange for builds to be shipped back to modders’ UK addresses. The winning modder will also receive an official trophy and be eligible for an all-inclusive trip to Computex 2019. Modders deemed to have failed to follow the terms and conditions outlined here and/or deemed to have not completed sufficient work will be disqualified and forfeit their right to any and all prizes.